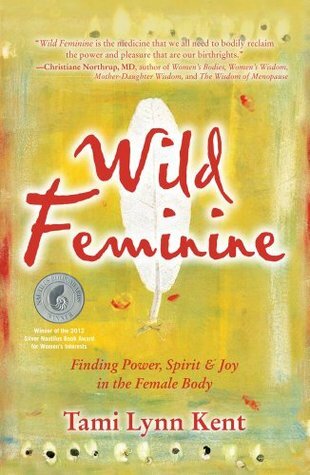 First published in 2008, Wild Feminine explores several ways that female-bodied people carry stress and tension within their core as well as ways to alleviate the associated pain, discomfort, and dissociation. It was recommended to me for the exercises and massage techniques contained within -- a way to deal with some digestive-tract woes that plagued me earlier this year. I read the whole book, and now plan to incorporate more than just the recommended exercises into my self-care routines. Kent's language around gender and sexual identity are admittedly limited by the focus of her practice and personal experience. Still, I think she speaks some valuable truths regarding the ways our society has suffered for disparaging both the feminine and the female body. I appreciate the value she places on ritual and symbolism, and I want to highlight that she does hold up equivalent work and research being done to support male bodies* which hold the wounds caused by these same things in different ways. Steeped in spirituality, separated from religion, and informed by both personal experience and many hours of study in professional practice, Kent's book provides a practical theory for how to bring the art of being back into our collective consciousness. Within these pages, you will find meditations, rituals, thought exercises, and hands-on techniques for releasing tension in the pelvic region and reconnecting to this part of our female bodies, regardless of our stage of life. - Of course, I borrowed the book from the library and returned it without making note of the researchers mentioned working on male health. A quick Google search did, however, turn up this book, which addresses both Male and Female anatomy: Headache in the Pelvis, by David Wise, M.D. and Rodney Anderson, M.D.